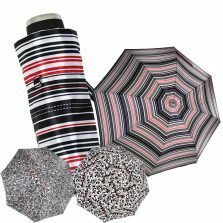 Ezpeleta Art Deco Mini Umbrella with Zipped Pouch just 20 cm 8 inches! 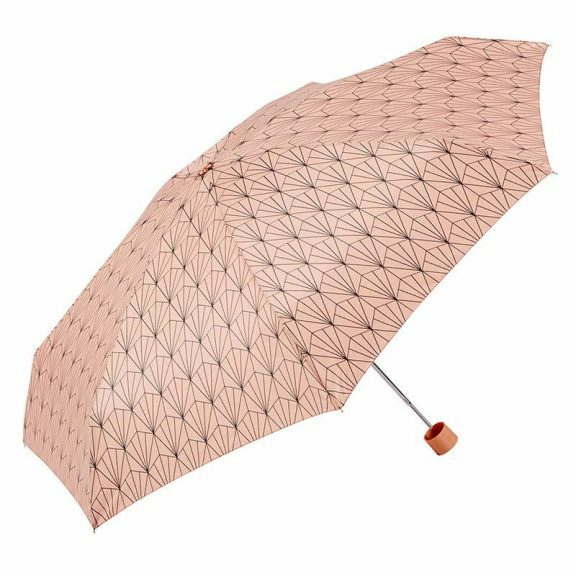 Ezpeleta Art Deco Mini Umbrella with Zipped Pouch. Choice of 4 different colours. 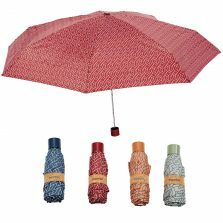 Lightweight mini umbrellas, each with a smart soft feel colour coordinated zipped sleeve. 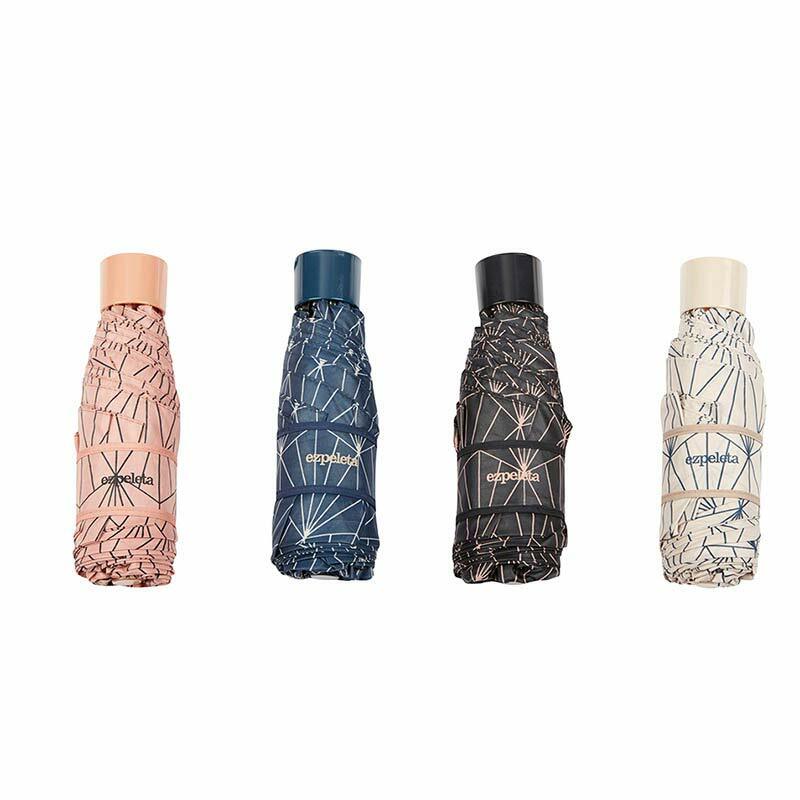 Ideal to keep in your handbag! 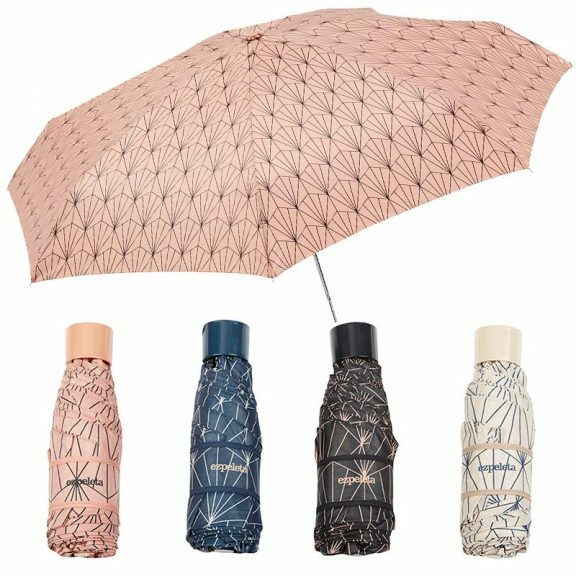 Introducing our Ezpeleta Art Deco Mini Umbrella with Zipped Pouch. 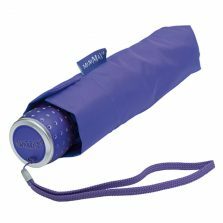 This ultra mini umbrella has a 5 section telescopic shaft and is around 20 cm (8 inches) long when closed. 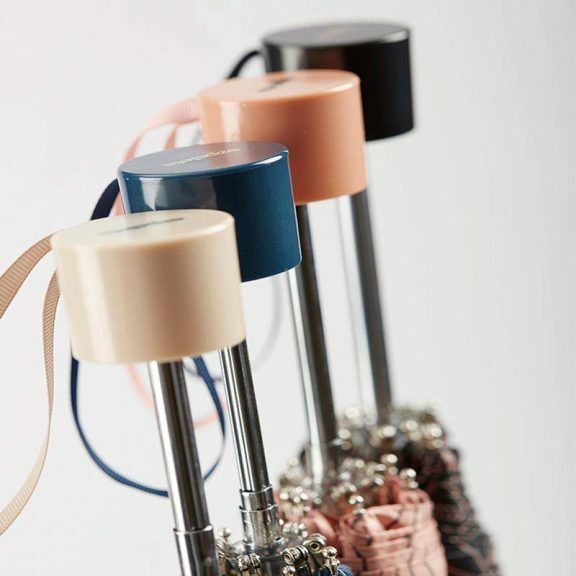 Perfect for the handbag. There are 4 different colour options. Each has an art deco design canopy. What’s more, each art deco mini umbrella comes with it’s own colour matched zipped pouch. The design is a retro, art deco pattern, very popular back at the turn of the last century and now again back in fashion. 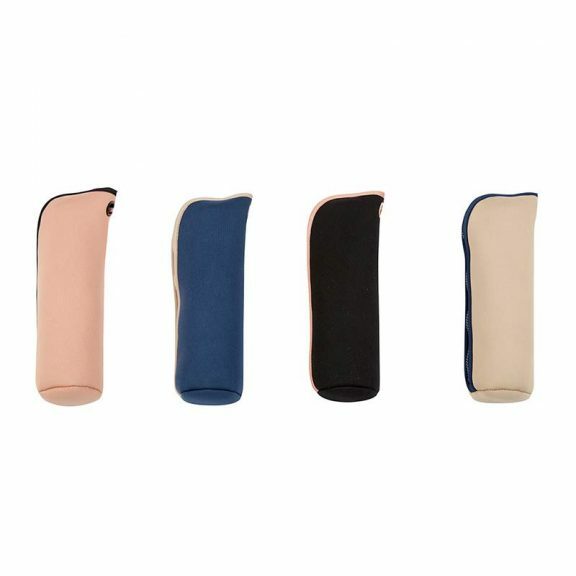 The fabric of the zipped pouch has a lovely soft almost spongy feel to it and is very slightly elasticated. The zip on the pouch is a rugged high quality zip and is picked out in a contrasting colour to accentuate the overall design. 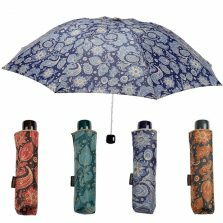 Click to view more great ladies compact umbrellas.